Ok, come back, it’s alright. Just reading the names won’t make you sick, alright? It’s no secret that 2014 has been a bit of a banner year for infectious disease. And, not to scare anybody, but a LOT of us are about to all gather in a location with 150,000 other people from around the world, all at the same time. I don’t know about you, but that gives me just a liiiiittle pause. But there is a solution! And it is a good one. Recently, the Harvard Medical School published its findings on the nature of hand-to-hand communications, and the likelihood of transmission of diseases in its different forms. 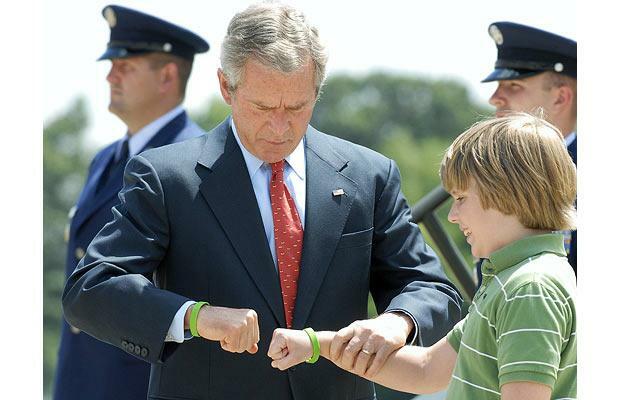 The short version: fist bumps are a safer and cleaner alternative to handshakes. That’s right, you read correctly. 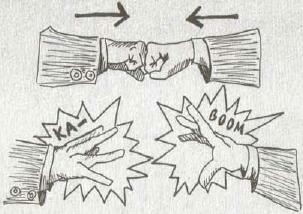 Harvard has officially stated that we should all be fist bumping. Absurd as it sounds, there is a very strong logic to it. When we shake hands, anything that is in our palms or on our fingers is instantly transferred to the receiving hand, and vice versa. The slight amount of moisture we always have on our hands practically ensures that the transfer occurs, too. There’s no “10-second rule” either; those bugs move instantly as they are practically shoved into waiting hands. 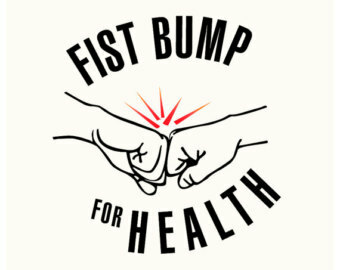 With the fist bump, however, the likelihood of transfer is much lower, because the contact is not so wide-spread, there is less moisture and pressure being applied, and because of the drastically-reduced amount of microorganisms on the outside of our fingers. 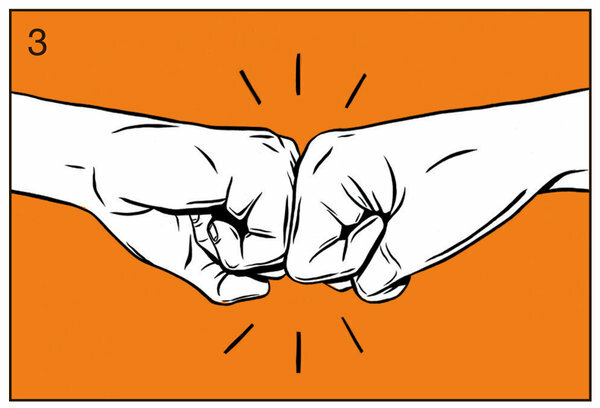 So I propose this, fellow Dreamforce attendees: the (un)official greeting of Dreamforce 2014 should be the Fist Bump. Now I know what you’re thinking. “But Mark, that’s so unprofessional!” Ah, my friends, “professional” is what you make it. “Professional” is basically another way of saying “extremely polite”, and what could be more polite than not passing on the DreamPox? No no, hear me out! 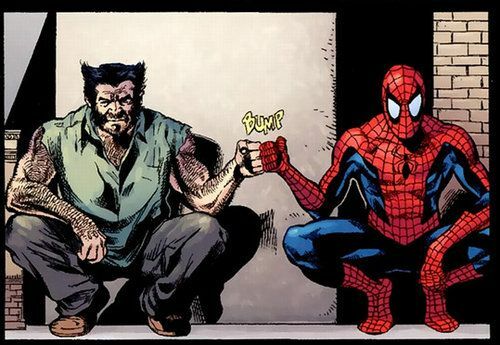 We can make the Fist Bump professional, right? Let’s set some guidelines, ok? Nothing says “professional” like rules and guidelines, am I right? The Professional Bump is straight-trajectory, no-frills, and quick contact. However, do not “explode” afterwards. This is tacky, and is therefore right out. Unless you’re doing it with a bald eagle. Maintain low velocity when jewelry is present. It is not professional to cause contusions. The “guided strike” is inadvisable, as it defeats the purpose and further invades personal space. Bumping in gloves is acceptable, so as to not facilitate the awkward pause of waiting for removal of said glove. Welp, here you have it, folks. If that doesn’t convince everyone to be slow-punchin’ at DF14, I don’t know what will. Just don’t be offended if I keep a bottle of Purell handy, ok? Love you.